I have a card to share with you today! decoupage sheets or downloads from La Pashe. The papers were also from the CD Rom. The little grass border was a die cut, not sure who the die is by. die cut trophy was part of a candy that I won eons ago. Here's a closer look at the main image, layered up using pinflair glue. Here's a look at the inside of the card. The Cupboard Trilogy - "BIRTHDAY"
fab and gorgeous card Dawn and a great decoupage. Morning Dawn, this is fantastic, 3 generations playing football which is fabulous. Love the card design and the inside looks gorgeous. Fabulous image Dawn, love your card. This is a fabulous card Dawn, I love all of the little footballs you've added for dimension - must have taken you ages to cut that lot out! This is so cute card! Thanks for joining us at The Crazy Challenge! Wow Dawn this is an amazing card, the image is super. 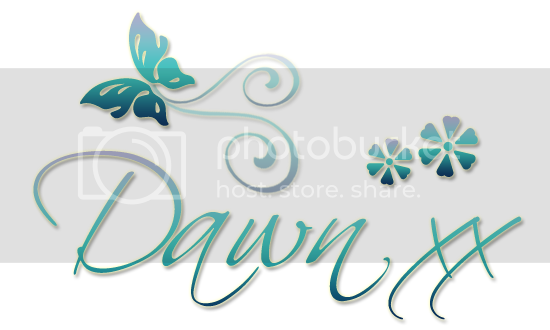 Hi Dawn, this card is such a cutie! It made me smile - the gpa and the teen playing together. Wish we could do that more in real life. LOL Thanks so much for joining us over at the 2 Cute Ink "kids" challenge. Good luck and I hope you will come back and join us again! WoW! Such a FUN card and such talent!!! Great card Dawn and love the fun image. With my DT hat on thanks for sharing with us at Crafting Musketeers. Terrific card for the World Cup mania, Dawn! Love that image and your coloring is fantastic. This is such a fun card!! the image is too cute :) Thanks for linking up at Craftin Desert Divas!! Great image! Very fun card! Thank you for joining us this month at The Cupboard Trilogy Challenges! Wow! Great Card. Love the design. Thanks for playing at RCS. Wow, such great card! Thank you for playing along with us at Red Carpet Studio!